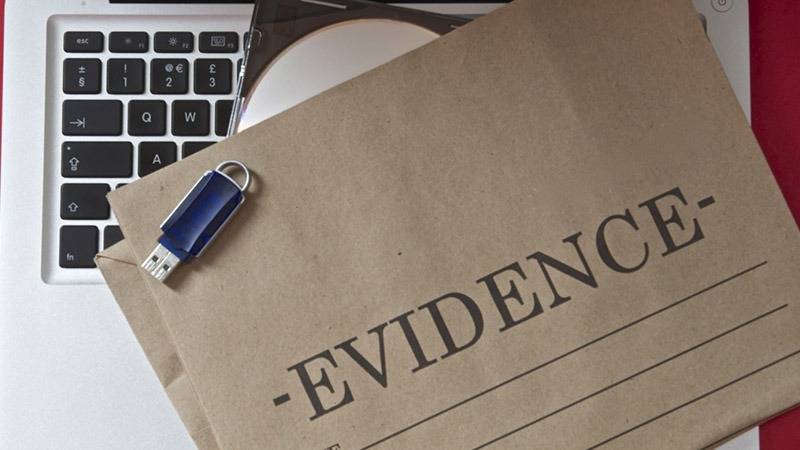 Law enforcement agencies, police departments, legal departments, and collections divisions rely on evidence. Key items, test results, and other pieces of information can make or break a case. Proper evidence tracking and analysis can bring justice to the victims of crimes, settle important debts, and ensure a company’s future. For the past ten years, Tracker Products has made it our mission to help clients manage their evidence more efficiently, effectively, and accountable with our software. We’re proud to have assisted numerous police departments across the nation and even branches of the federal government with our programs. Tracker Products envisions a streamlined, software-based future for evidence tracking in the twenty-first century. Read on to learn more about our goals. Since day one, Tracker Products has striven to provide unprecedented solutions in the field of evidence management. In 2004, a client came to our founder, Ben Townsend, looking for a software to help police departments store and evaluate their evidence. When he realized that none existed, he decided to fill this void himself. He collaborated with designers, created the early version of SAFE (our evidence management software), and registered Tracker Products as an LLC (Limited Liability Company) in 2005. Since then, Mr. Townsend and our team have continued to further develop our products, market them to the clients that need them, and bring evidence management into the digital age. Agencies, departments, and institutions of all sizes must maintain databases of evidence. Professionals call upon this information when investigating cases or writing reports. Given the sensitive nature and significance of evidence, recordkeeping is of the utmost importance in these scenarios. Information must be carefully stored and meticulously categorized. Allowing users to tag, scan, and track evidence with the advanced barcode system on our mobile app. Providing automatic alerts regarding important events, reviews, and deadlines to keep users on track and ahead of schedule. Making it easy to access information with the click of a button through our intuitive, clean dashboard. Ensuring that only authorized personnel retrieves sensitive information according to the appropriate chain of command. Helping departments determine when to destroy outdated, duplicate, or unnecessary evidence. Offering customizable options to meet organizations’ distinctive evidence recordkeeping protocols. Many police departments and law enforcement agencies must keep rooms upon rooms of filing cabinets full of information. This can take up valuable office space and make combing through case materials quite cumbersome. By streamlining recordkeeping, SAFE can help employees more easily navigate filing systems and even save space by implementing superior inventory procedures. As Police One’s article “The Importance of Evidence Room Inventory Procedures” points out: “Modern evidence management software usually provides helpful tools when it comes to conducting inventories, and using a barcode scanner [like Tracker Products’] obviously speeds up the process exponentially.” SAFE helps to economize and speed every aspect of inventorying. Our software organizes both digital and physical evidence, even allowing officers to compare them side-by-side. Improving inventory may seem to be a minor bureaucratic detail, but as Tracker Products knows and as Police One explains, it isn’t. The magazine encourages law enforcement professionals to make maintaining their massive filing systems a priority: “Ultimately, your evidence room is a direct reflection on you and your colleagues, but the professional embarrassment that comes from losing key evidence or, worse yet, having evidence stolen, is a reflection on your entire agency…Keep it neat, clean, and organized.” SAFE’s space- and time-saving functionality helps agencies serve their communities and protect their reputations. The hassle of traditional recordkeeping isn’t just exasperating—it’s also expensive. Tracker Products endeavors to cut our clients’ costs by saving them time and reducing their need for other resources (such as numerous rooms’ worth of disorganized filing cabinets). With SAFE, staff members can save many hours of precious time they would otherwise spend inventorying, looking for hard-to-find evidence, manually drafting reports, and more. This makes each employee more productive and diminishes the need for overtime hours spent on basic administrative tasks. At Tracker Products, we help our clients become more systematic, swift, and successful with software designed just for their purposes. We understand the true importance of recordkeeping, so we’ve worked to revamp it with digital technology. Contact Tracker Products today to learn more or try out our software.